A chimpanzee and two trainees could run her! You probably do this all the time, but you don’t even know it. I’m talking about AC power calculations with P = V x I.
Technically, it works. But when you think about it, it shouldn’t. 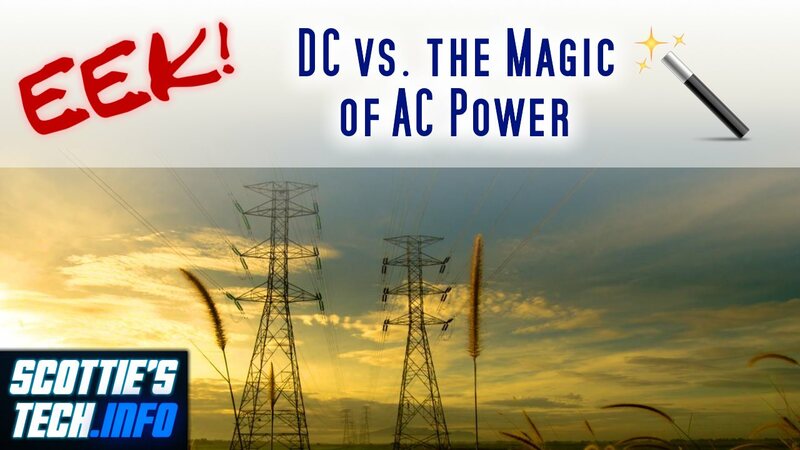 AC has constantly changing voltage and current over time – unlike DC. So how on earth does it work? 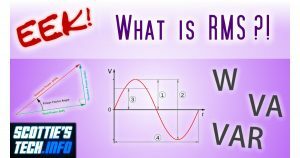 Well, the short version is: RMS, or root mean square! I usually see people freak out when they open the door of their circuit breaker panel. No more! 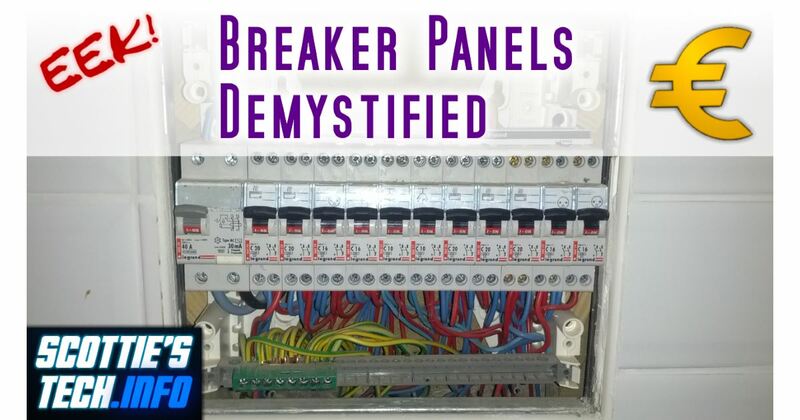 Note that I’m using European breakers and EU-type panel design as my example, so if you’re in North America or certain other countries, you’re not gonna see the same thing. Still, the general principles are the same. Also keep in mind that there are far more gizmos that you might find in your panel: combined GFCI/circuit breakers, timers, and even a nifty gizmo that turns off circuit B when circuit A is energized. 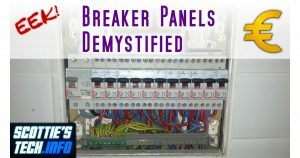 Having said all that, if you just need a basic intro to breaker panels of all types, this is a good place to start! Then follow up with a book or an internet search for your specific location, and Bob’s your uncle. EEK! 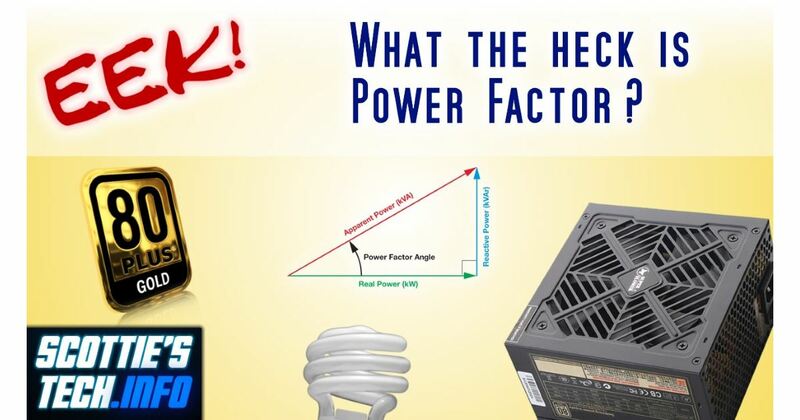 #4 – What the heck is Power Factor? 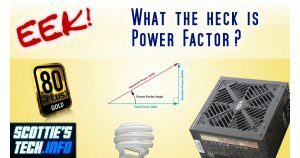 Power factor is one of those things that sounds really complicated, but it’s pretty simple when you boil it down. And every now and then, knowing a little something about power factor comes in handy. In short, power factor is the ratio of the real power consumed by a gizmo to the apparent power needed to be generated and delivered by the power company. The reason for this “extra power” from the power company is the inductance and capacitance in your gizmo that results in shifting the AC current sine wave away from being perfectly in sync with the voltage sine wave. You don’t really need to understand how all that works; just watch the vid to see why it matters! 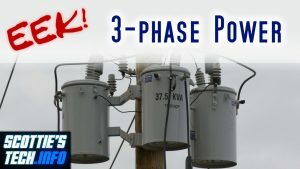 Why does AC electrical power come in 3 phases? What the heck is a “phase”, anyway? In this episode of the EEK! 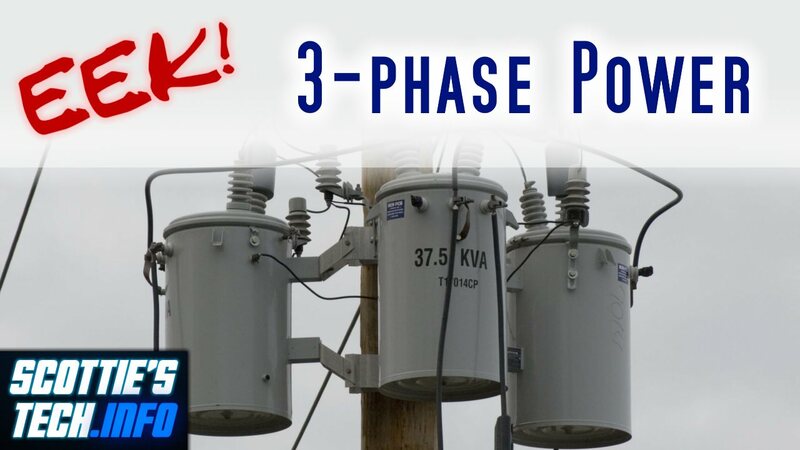 Series, you’ll learn about 3-phase power and its advantages. In short: fewer wires, more power, and the Earth itself is a conductor. In addition, 3-phase industrial motors are more efficient and don’t require a starting capacitor since the 3 phases are “rotating” already. Be sure to watch EEK! #1 and EEK! #2 first! In episode 2 of the EEK! 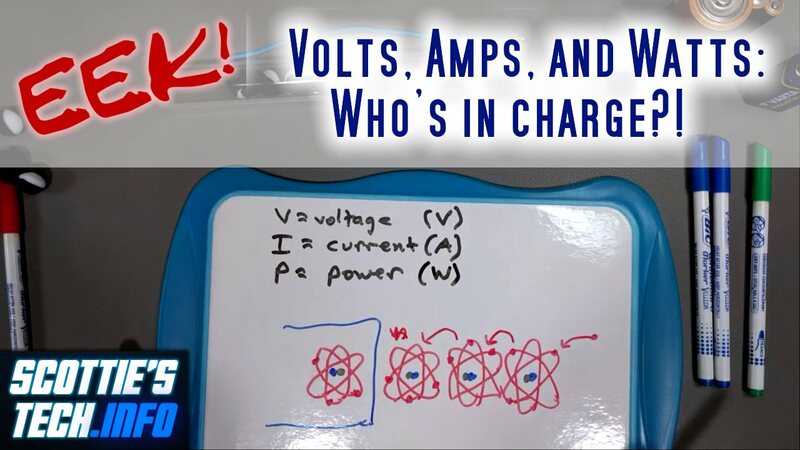 series, we cover the basic difference between direct current (DC) and alternating current (AC). 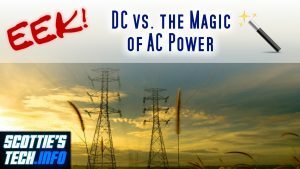 Why is your home powered by AC, and not DC? Simply put, AC allows the use of transformers to step up the voltage, step down the current, and therefore bypass the little problem of too much current flowing over a thin wire. DC cannot be easily converted in this way for efficient power transmission over long distances. There’s more to say about AC, so look for a 3-phase video soon. Check out the video below! EEK! 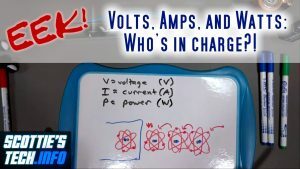 #1 – Volts, Amps, and Watts: Who’s in charge?! This first video in the EEK! 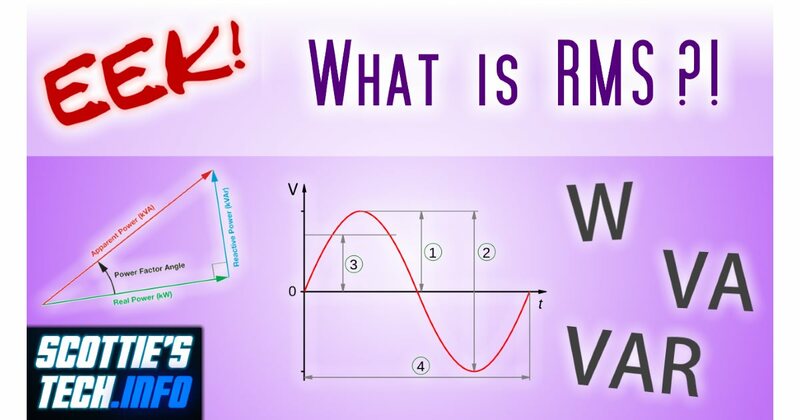 series explains basic concepts of electricity in simple, practical terms. Learn about conductors, insulators, voltage, current, power, volts, amps, and watts. It’s not as difficult to understand as it sounds. No crazy math or physics required! Lithium Polymer vs Lithium-Ion batteries: What's the deal? China’s high-tech revolution is NUTS! Copyright © 2009-2019 Scottie's Tech.Info. All rights reserved.